I think this one is pretty obvious, the Jayhawks have been trying to return to the glory days of 2008 for quite some time. Senior quarterback Peyton Bender will be starting under center for the Jayhawks. Bender was seventh in the Big 12 and had an average of 160.9 passing yards per game. KU will open the season at home on Saturday at 6 p.m. against Nicholls State on the Jayhawk Television Network. Baylor is also in the midst of rebuilding their program after finishing 1-11 in the 2017 season. Head coach Matt Rhule is entering his second year for the Bears hoping to turn the program around. Baylor will have more experience at quarterback as Charlie Brewer is returning for his sophomore season. Junior wide receiver Denzel Mims will also be returning. Mims was third in the Big 12 with 90 receiving yards per game. The Bears will host Abilene Christian in Waco, Texas on Saturday at 7 p.m. on FSN. Redshirt senior quarterback Kyle Kempt will be under center for the Cyclones. Last season, he threw 1,787 yards and 15 touchdowns after playing in nine games. Redshirt junior Hakeem Butler will be returning for Iowa State as one of the top wide receivers for the team, coming off a 2017 season that saw him garner 697 receiving yards and seven touchdowns. The Cyclones will be facing South Dakota State on Saturday at 7 p.m. on cyclones.tv. The Cowboys lost two of their biggest offensive players quarterback Mason Rudolph and receiver James Washington, both of who are now in the NFL. Due to that, this could potentially be a rebuilding year for the Cowboys. Junior running back, Justice Hill will return after leading the Big 12 last season in rushing yards (1,467), touchdowns (15), and average yards per game (112.8). Hill will be a big key to the offensive success of the Cowboys. Oklahoma State opened its season on Thursday with a win against Missouri State. This matchup is going to show if the Red Raiders will be a serious contender this season in the Big 12. Texas Tech is going to be a wild card team due to the fact that they are bringing back several starters, including their entire offensive line. However, the Red Raiders do have to replace their quarterback. Head coach Kliff Kingsbury has not yet announced the starting quarterback for the 2018 season. There is speculation if Kingsbury hinted that junior McLane Carter will be the starting signal caller during Monday’s Big 12 teleconference. Texas Tech will open with the University of Mississippi in Houston on Saturday at 11 a.m. on ESPN. K-State is extremely talented and will certainly be a sleeper in the Big 12 conference. The fact that all five starters on the offensive line are returners will be a very valuable asset for head coach Bill Snyder. Snyder is keeping the starting quarterback position announcement close to his chest, but I think we will see Alex Delton as the starting quarterback. Running back Alex Barnes will be the starting running back for the Wildcats. Barnes finished seventh in the Big 12 last season with 819 rushing yards. Senior starting quarterback, Will Grier will be returning for the Mountaineers. Grier finished third in the Big 12 behind Baker Mayfield and Mason Rudolph in passing efficiency, passing yards per game and total offense last season. Pairing Grier with senior wide receiver David Sills could make West Virginia a scary team to play this year. This could be the year that the Mountaineers win their first Big 12 title. West Virginia opens with an intriguing matchup with Tennessee on CBS, Saturday at 2:30 p.m. CDT in Charlotte. Sophomore Sam Ehlinger will be the starting quarterback for the Longhorns. Ehlinger did not play in four games last season but finished with 1,915 passing yards, 11 touchdowns and seven interceptions. Texas will open on the road against Maryland on Saturday at 11:00 a.m. on FS1. The Longhorns were upset at home by the Terrapins last season and will be looking for revenge. With the loss of Baker Mayfield, it will be interesting to see how new starting quarterback Kyler Murray can continue the Sooners’ success. Oklahoma is looking to win the school’s fourth consecutive Big 12 title. The Sooners begin the 2018 season versus Florida Atlantic on Saturday at 11:00 a.m. on FOX. In 2017, the Horned Frogs made it to the Big 12 Championship game and won the Alamo Bowl. Although TCU lost some key players, there is still plenty of talent from 2017. Junior running back, Darius Anderson will be returning for the Horned Frogs this season. Anderson was sixth in the Big 12 in rushing with 6 yards per carry, 69.8 yards per game and a total of 768 yards on the ground. Ben Banogu is one of the best defensive ends in the Big 12. Banogu was second in the Big 12 in sacks with 8.5, third in the Big 12 in tackles for loss with 16.5 and seventh in the Big 12 in forced fumbles with 3. 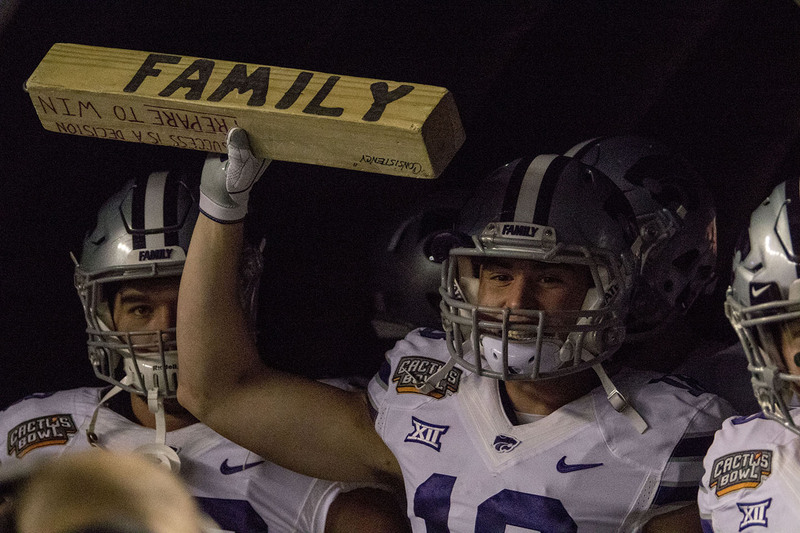 Right now, this team looks poised to return to the Big 12 Championship game. The Horned Frogs will play Southern on Saturday at 11:00 a.m. on FSN in Fort Worth.